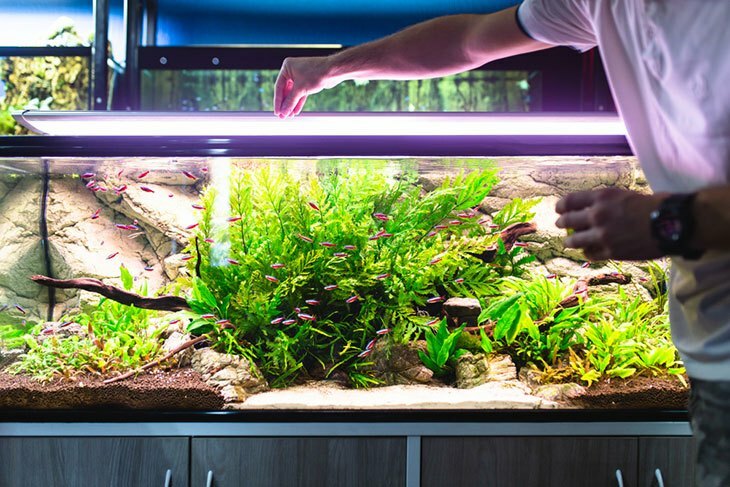 Home » Fish & Aquariums » How Can I Find the Best Aquarium Shops Near Me? ​How to Purchase a New Aquarium? ​What to Know Before Buying an Aquarium? Before you start looking, it can help to get a general idea of whether an aquarium store will be able to help you. You need to get an idea of what they have in stock. Aquarium shops typically stock a variety of different fish species. They will have specimens who live in their own unique environments like fresh water, tropical or marine life. You will often find stores which specialize in one specific category like marine fish. Professional shops will usually have at least a few types of plants for your tank. They are also divided into categories based on the habitat in which they grow. Aquarium stores stock a range of fish feed. Each species have evolved unique dietary needs that the products cater for. There is dry food, wet food like gel, feeding blocks and frozen food like shrimps. Shops will probably feature a range of enclosures that you can choose from. You will be able to choose between all kinds of shapes and sizes. Some stores will even sell glass panels with which you can build an aquarium from scratch. Another essential that these stores sell are chemicals and tools that you need to clean the tank. Many aquarium shops also stock some essential health supplements. You will be able to buy medicines for common ailments like fungus growths. A good store will sell all the necessary electric equipment that you need. For example, filters, pumps, heaters, and lights. You can find all kinds of tank decor items like artificial plants here. 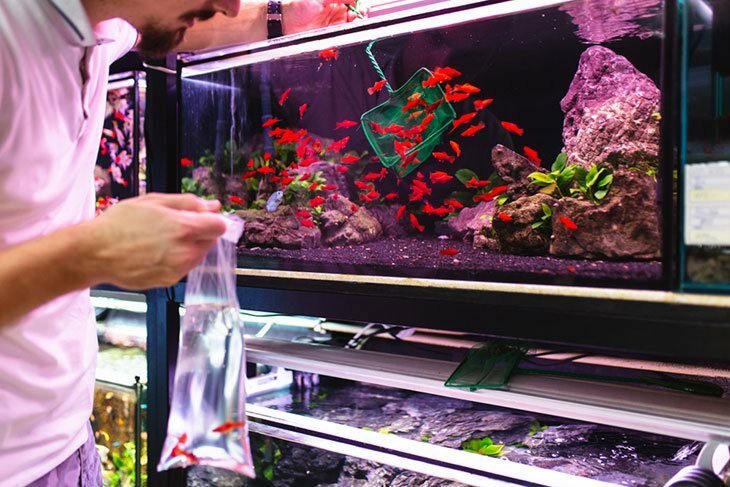 These shops will sell a bunch of other aquarium supplies such as salt too. So if you need any of these items, you know where to start looking. The most convenient place to start your search is definitely the internet. You can have information about hundreds of stores at the tip of your fingers by the touch of a button. First off, open a general search engine like Google. Type in the phrase “aquarium shops near me” or something similar. You can also search using the name of your city or neighborhood. Search and go through the results. Secondly, it can be helpful to search directly on social media sites. Many stores won’t be able to have their own websites but might have a social media page. Thirdly, you can go on to Google maps or other map applications or sites and search “aquarium shops” there. But not all owners have listed their stores somewhere online. They might not have an online presence at all. So it can be a good idea to check out local newspapers in your search. Business owners often advertise in there. Now and again there might even be a feature of local shops. Your first step should be to start off with the classifieds and advertisements at the back. Then you can skim through the rest. Another potentially useful resource are magazines that are focused on animals. These are must reads for any pet owners be they owners of fish or cats. Besides great advice on taking care of your pets, they can also provide other necessary information. Specifically, they mostly have directories or listings about different stores, suppliers as well as breeders. These are typically well known and reputable sources. As in newspapers, the directories for magazines are at the back. Therefore, you can also start near the end and then skim through the rest. One of the best ways to find a reputable aquarium shop is to ask advice from fellow pet owners. Who will know better than people who have their own aquariums and need to shop for supplies regularly? If you know, anybody with fish, so ask them. They will probably be able to tell you more about which stores have which specific products and their general price range. Aquarium shops specialize in providing products and services that you need for a home aquarium. But these aren’t necessarily your only option. If you have exhausted all the avenues in your search, you might want to widen the net. Consider including other pet supply shops. 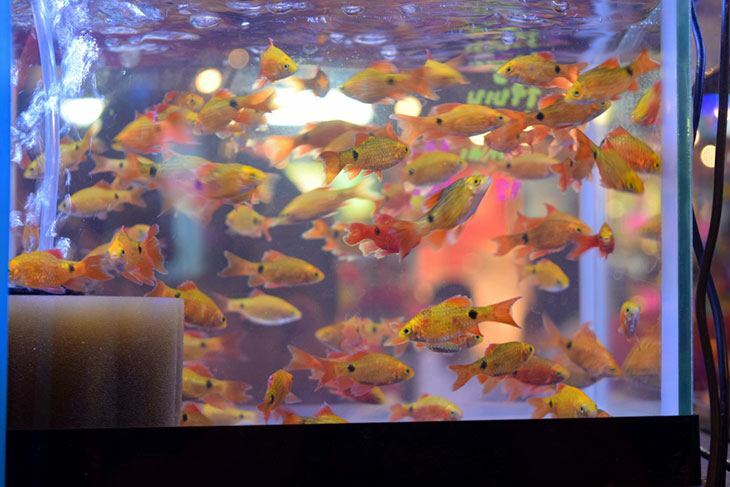 Most pet stores will offer some aquarium related products. Some also sell fish and additional types of marine or freshwater animals. You might not find the rarer and more specialized fish or supplies here, nor the variety. However, you should be able to find all the basics here. Now that you know about local stores, it is time to gauge what your different options are like. 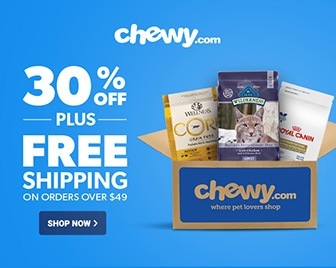 If you want the best for your pets, you should try to find out if the shops are reputable and have high-quality products. They should also take good care of their animals. That is why we are going to give you some tips and tricks to make sure the store is tops. One of the most reliable ways to find out more about the store is to visit it yourself. While you're there, you should carefully inspect the store while you browse to get a feel for it. Take a look at the tanks. They should be clean, and the water should be clear. There shouldn’t be algae growth on the sides. Check the general cleanliness of the shop. Try to see whether the products like the food is stored correctly. It needs to be dry and not stand in the sun. Look carefully at the fish and other living creatures. They need to be in a healthy condition. This can be difficult for a beginner to gauge. But look at their movements, how they swim, check for any lesions, or any possible fungus growths. How To Choose The Best Algae Eaters Even For A Small Aquarium? You don’t want to support a store which doesn’t properly care for its fish, but you also don’t want to take a sick animal home. This might not be possible at first, but over time you should try to compare the different stores that you have access to. So that you can figure out which is a prime choice in your locale. You can compare them on all aspects specifically the variety that they offer, their prices, knowledgeability of the staff and condition of the animals. But you can’t necessarily visit every store for yourself. So another option can be to go read reviews on the store. Once again, one of the easiest ways to do this is to look for ratings online. Some search engines have built-in review features. Otherwise, you can go look at their social media pages and read about people’s opinions and experiences. There are many possible places to find reviews but at least check out one or two. One more trick is to again turn to your fellow aquarium owners. Experience is a fantastic teacher. So they will be able to tell you all about the shop. You can ask them about all the aspects that you are interested in and for any extra advice. But what do you do if you can’t find the right store near you? A good aquarium store might not be in driving distance. This can happen if you are living in a smaller neighborhood or are looking for something specific and rare. Luckily, nowadays there are many online stores you can turn to for aquarium related products. Most of the times you won’t be able to buy any live plants, feed, or animals online. For that, you will need to visit a breeder or physical store. But you can find a variety of food, installations, and accessories on the internet. You can compare prices from a variety of sites to make sure you get the lowest price. And best of all it will all be delivered right to your doorstep. This can help you miss out on the hassle of going to the physical location and going from place to place in search of a product. It can be the ideal option for you if you know what you are looking for. Before you rush off to the store, you need to know what you are going to get. It can be a bit overwhelming to set up your first home aquarium. There is a lot to learn and a lot to buy. But no matter what species you’re planning on getting there are a few basics that all of them need. Warm water and tropical fish needs heaters. You need to note that what you need will depend on the species of fish and their ideal habitat. 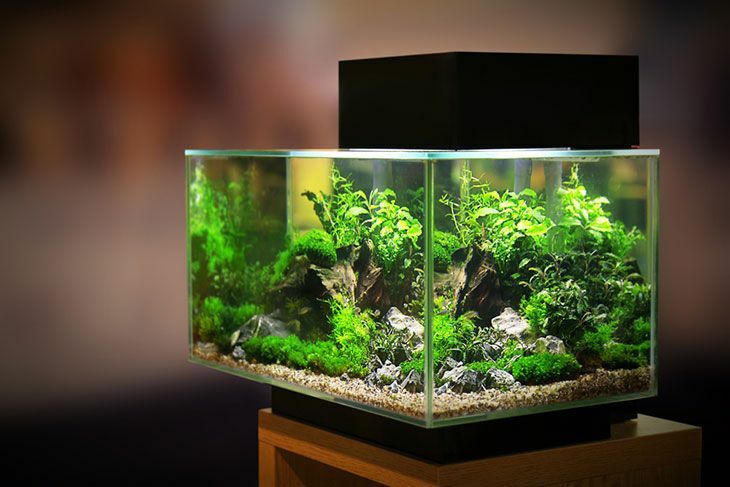 There are four main types of home aquariums that you can set up. Each of them is based on the habitats and environments that fish live in. Coldwater aquariums are for fish who prefer a temperature range from about fifty to more or less seventy degrees Fahrenheit. You should fill these tanks with freshwater. Examples of suitable fish are Goldfish and African Cichlids. Freshwater tropical aquariums are ideal for fish who thrive in temperatures of around 72- 84 Degrees Fahrenheit. These include tetras and angelfish. These tanks are made for fish who usually live in marine environments. You need to add salt to the water. This can be a bit of a challenge for a new owner. It is also more expensive, but the creatures who live here are incredible. The environments in these enclosures are a combination of fresh and saltwater. They are rarer than the other types. Typical fish are gobies, archerfish, and gar. Here is more detailed information on starting and maintaining the different types of aquariums. It’s vital that you don’t rush off to buy a new aquarium before some planning. You need to do research on exactly what you want and need. As you can see specific species of fish and plants need specific conditions to survive and to thrive. Research the different types of fish and aquariums. Decide what type of environment you want to set up and what species you want to keep. Make a checklist of items that you need to buy. Go visit aquarium stores to view the products they have available. Following these steps will help you to make the best decisions when you go to purchase a new tank. As you can see, setting up an aquarium isn’t necessarily straightforward. You need to know beforehand exactly which species you want to keep and in what type of habitat. You also need to have an idea of how many animals you want to keep in the tank. The enclosure should be big enough to support this number and allow them space to move and grow in. Fish can be quite sensitive. That’s why it’s vital that you know how to take care of them from the get-go. What do they eat? Which temperatures do they prefer? Another critical point to research is the process for setting up the environment whether it be a marine or a freshwater tank. You don’t want to make mistakes that can cost you later on. Any owner needs to know the dos and the dont's. We hope this guide will answer any questions you might have to your questions about “aquarium shops near me.” It is all option knowing your options and making the right choice for your fish and their home. Now all that's left is to visit the stores for yourself. Remember that while you’re there, you should ask the experts about any aquarium queries you have. 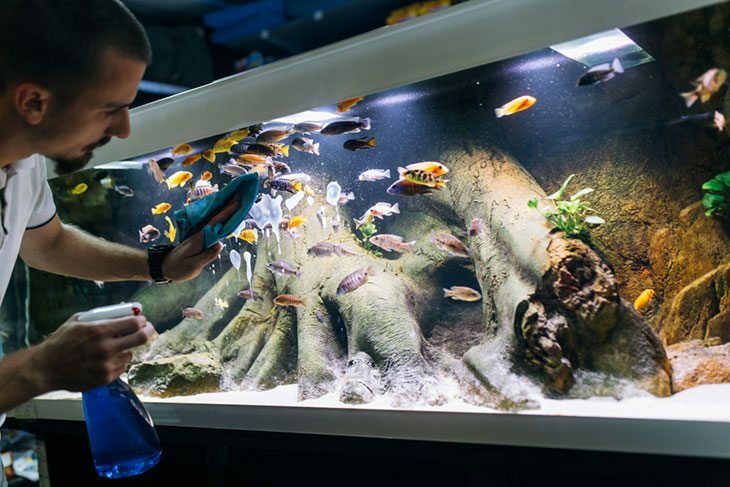 Tell us whether this article has helped you to find a top aquarium shop near you. Feel free to share it with all your friends and family.